Like Neon Genesis Evangelion? How about alcohol? If you're ready to part with six hundred bucks, have I got a bottle of bubbly for you. 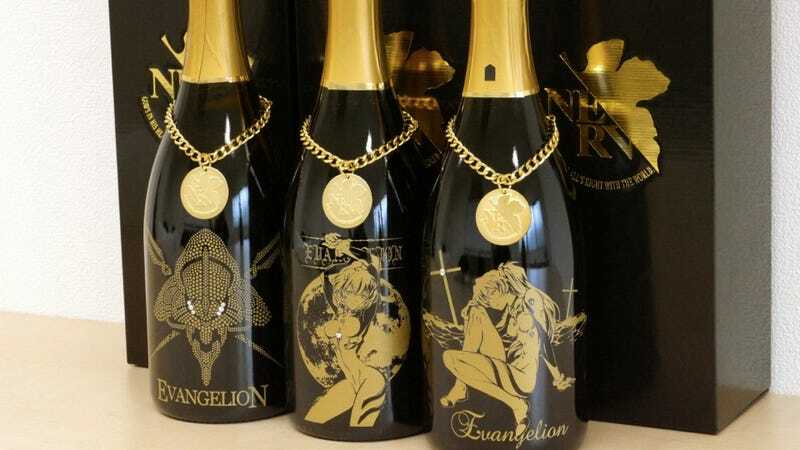 These are bottles of "Evangelion Sparkling". They are limited to only 333 numbered bottles. Produced by France's Monts-Maleret, each 750ml bottle is priced at ¥50,000 or US$622. Have a look at the bottles, courtesy of website Gigazine.